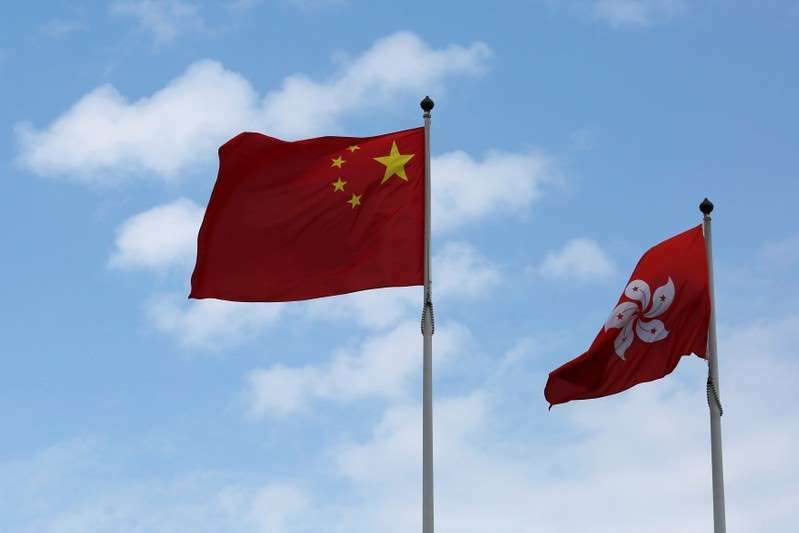 China's principle of "one country, two systems" for Hong Kong is unchanged, Chinese state media said on Monday, refuting claims that the city's refusal to renew a work visa for a Financial Times journalist marked a move away from promised freedoms. The China Daily newspaper said in an editorial visa renewal was a sovereign right that no other governments were allowed to interfere in and that accusations from some foreign authorities were an attempt to attack the Chinese government. The Financial Times newspaper said last week Hong Kong authorities had rejected an application to renew the work visa of Asia news editor Victor Mallet, who also served as the vice-president of the city's Foreign Correspondents' Club (FCC), drawing criticism from the United States and press freedom groups. It came two months after government officials in China and Hong Kong condemned the FCC, one of Asia's leading press clubs, for hosting a speech by an independence activist, reigniting debate about the viability of the city's promised freedoms. "Foreign governments demanding an explanation know this. What they really want is not an answer but to create the illusion that freedom of speech and the press in Hong Kong is dwindling," the China Daily editorial said. "There is also the allegation that the central government is trying to 'mainlandize' the SAR ... However, the accusers' real intention is to smear the way 'one country, two systems' is being practiced," it said, referring to Hong Kong's official description as a special administrative region (SAR) of China. Beijing, under the "one country, two systems" principle, promises Hong Kong a high degree of autonomy and freedoms not enjoyed elsewhere in China, rights that are enshrined in a mini-constitution known as the Basic Law. The principle has been practiced since Britain handed Hong Kong back to China in 1997. The Global Times newspaper, published by the ruling Communist Party's official People's Daily, said the visa denial had nothing to do with freedom of speech. However, it said Mallet's actions at the FCC "damaged China's national security and undermined freedom of expression". "All countries and regions have things which they feel sensitive about and are unable to back down," it said. "Hong Kong will get better without Mallet. The city's future doesn't need to be the concern of Mallet, the UK government or Western media," the Global Times said.